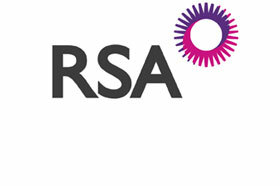 RSA Europe, Risk Managed, were able to build a business up to a level of market leadership within the space of 4 years by focusing on the specific market segment they wanted to target and build an amazing proposition for them. We were proud to have helped them to plan, research & analyse it, build the team on an European level and guide them through delivery. Viking Direct has a great proposition for all businesses, but wanted specifically to focus on certain types of business to ensure they were offering something really valuable and beneficial. We helped them to work through their vision for the proposition, analyse their current approach, review their customer base, and design a phased customer engagement program to be tested throughout Europe. The journey continues, but they have already seen great success. A major UK and European financial services organisation came to us with a problem. They were losing customers at a very high rate and didn’t really understand the reasons nor how to stop it quickly. We helped them to assess their current situation quickly, identify an immediate strategy for stopping major loss, set out a phased plan for larger changes. We helped them to save more than £4m in a 6 month period. A major retailer selling both online and through call centres contacted us to help them build a real understanding of where their business intelligence strategy should go in the next years. We built a model for them based upon their industry, their business priorities and their team. This helped them to understand their current Business Intelligence approach in a more meaningful way, and to set out plans for change. We were excited to help them to build their approach to customer proposition innovation and delivery. This enabled them to develop their knowledge base, research and write material to further infuse the approach across the organisation, identify appropriate team internationally to drive it forwards locally. We helped with the knowledge base, training and mentoring to make it happen. SAS (an global software group), has a strong relationship with its many business customers worldwide. These customers range from major corporates to small enterprises. Their software has the power to change the world and has a major impact on many industries worldwide. They wanted to formulate a strategy for their customers, which would ensure all customers would receive the best engagement. We helped them to assess their capabilities using our Customer Navigator® toolset, build their strategy and business case, design the new team and organisation to deliver to their smaller customers in particular.